If you are a publisher or circulation director interested in adding your publication to our growing list of titles, please let us know. We have processed millions of orders, carry thousands of titles and work with hundreds of agents. 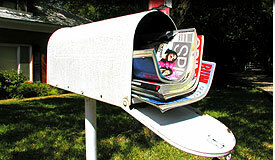 Our agents sell magazine subscriptions utilizing a number of sales methods. These include, but are not limited to, websites, direct sales, door-to-door, telemarketing, catalog, business trade, reception room and fundraising. We process our orders on a weekly basis and forward order information and payment to the publishers at that time. In order to have your title listed you can send us your standard agency authorization form. If you do not have one available, you can simply fill out our Publishers Authorization form and return that back to us along with a cover image of your publication(s). Please send an email to info@SubscriptionAgency.com to request the authorization form or to ask any additional questions or download our Publisher Authorization Form and return to us with the required information to list your title(s). Here publishers will be able to view subagent information (name, company, contact information, taxid, sales practices, along with all paperwork they signed and provided when joining our agency, which includes a background form, W-9, background checks, ABC audit guideline compliance, agency agreement and copies of telemarketing scripts and direct mail pieces if applicable). You will also have access to their volume on your particular title(s) along with their volume on all titles they sell. You can control which agents you wish to authorize and deauthorize from selling your magazine(s). You can also view and update your particular titles to ensure they are listed with the correct terms, pricing, images and descriptions. Once a publisher sets up an account, they will be assigned a username and password to access this area of the site. Cookies need to be enabled on your computer in order to view this area.